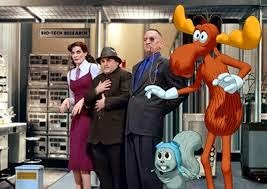 This week on Saturday Night Jive, George and I talk about a movie with five SNL alums, The Adventures Of Rocky And Bullwinkle. I honestly don't remember what we talked about, because this movie was so terrible, it burned a hole in my brain where my memories of it used to be. Enjoy.